I'm so excited, I was #1 on Carissa's "linking up" list this morning! Guess that's one of the perks for getting up so early to leave on our trip. Happy Monday and I'll look forward to visiting around a bit later in the day. 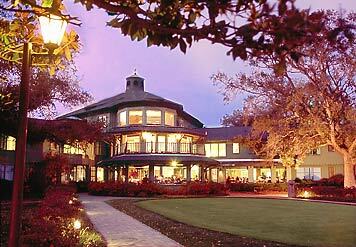 1. while you are reading this, hubby and i are on our way to point clear, alabama for an outing with his business. we have never been before, but we'll be staying at the grand hotel and we hear we are in for a treat. i'll let you know. 3. i was in a business the other day and saw these adorable sock monkeys. it caused a rush of memories for me. 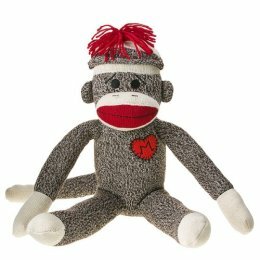 when i was a little girl, the sock monkey pictured below is the one i had and absolutely loved. and, if i remember correctly, my grandmother made the monkey for me. wow! i think it's just too cool that they've made a more "girly" one now. i think both are on my Christmas list for the "grans." 4. i "thought" that i wanted music added to my blog, so i had some "custom" instrumental music created. well, i've just about decided that it bothers me and think i'm about to remove it. my 31 year old daughter says it drives her crazy, that really scared me.~chuckle~ so if it's gone next time you stop by, you'll know why. 5. speaking of my daughter......she has entered the blogging world and i promised her that i would put in a good word for her (in spite of the fact that she doesn't like my blog music). in case you are interested, her blog is "The Broome Bunch" and you can click here to find it. 7. i have a very special relationship with the young vietnamese lady that does my nails. She and her family are just absolutely precious and i call myself their "american mom." they are the hardest working individuals i've ever known and have the deepest appreciation of being american. they have both been american citizens for many years and their children (14 &10) were both born here. i have such a special place in my heart for them and truly feel that the Lord placed them in my path for a profound reason. today, the mom and daughter attended church with me. my 80 year old dad was going to be preaching and i invited them to come and they very willingly agreed. he preached such a stirring message and there's no doubt their hearts were touched and they were blessed. what an honor it is for me to know them and share in their lives and i pray that i can be used to bring them to a saving knowledge of Jesus Christ. it brings tears to my eyes just thinking about it. as always, i've so enjoyed sharing my miscellaneous thoughts with you today. carissa is just "the bomb" and if you haven't checked out other miscellany monday's, then click here and enjoy! I agree about the cellphone. I make it a point to NEVER talk on the phone when I am at a store and paying. I remember when I worked retail and people wouldn't even acknowledge me when they'd pay because they were talking away. It was quite rude. Congrats on being #1 -- and have a wonderful trip. The hotel looks amazing. And, finally, I'm off to check out your daughter's blog. loved all the miscellany! oooh that hotel loooks fab hope ya'll have an AMAZING trip yay for business trips with perks!! Um I agree about cellphones....especially in church!! Have a great trip! Chris used to take a trip like that and we stayed in a luxury Hotel...it was WONDERFUL! I love that you have developed a relationship with this family...and you are sharing Jesus with them...that is so amazingly wonderful! You will probably never know the total impact you have on the lives of those people! What a great post for Monday! Hope your time away is wonderful! Wow, that looks like a fabulous hotel. Enjoy your trip! I so can relate to the cell phone thing. I mean really. One day I was getting a pedicure and the gal who was doing my feet sat there the whole time talking on her cell. Too bad I couldn't understand what she was saying! I wanted to say I just love your blog music. I have music on my blog too, also created by Jared, and because I usually have my computer on "mute" I hardly hear it. I know alot of bloggers who have music and I am just in the habit of muting the sound now. By advice would be if you really do love what was created for you, leave it there. There is always a work around. If you don't, ditch it! I hope you have a great trip!! I agree with you about cell phones. There are so many people who are so rude with their phones. Texting everywhere, talking everywhere and loudly. It's quite annoying when people are with me and start to text out of nowhere. There should be cell phone etiquette. Visiting from Monday Miscellany! Hope you can stop by ours as well! How wonderful that your path crossed with the manicurist's - sounds like you are both blessed! I enjoyed reading all of these Lea. I agree with the phone thing. I can't stand being in a business and someone is talking on the phone so loudly you know the whole conversation! ~ I've decided that short hair actually makes us look older. I had long hair most of my life, then cut it in a bob, then grew it out and then cut it really short all over. I felt old the whole time I had it short I don't know why I didn't start growing it out again sooner. My hair is too thin to wear very long, but I think some length is youthful. Even at the length in your picture. I know you'll be beautiful no matter what! sorry i'm so late!!! my hands are full these days! : ) the trip sounds like fun - especially staying at a fabulous place like that! i agree with #2! some days i just ignore the phone and it feels like a treat! thanks for joining in!